"We license our industry leading patents portfolio on FRAND (Fair, Reasonable and Non-Discriminatory) terms and conditions and have always been committed to these FRAND principles," Ericsson said. The response came after ijiwei.com, an industry website, reported on Sunday that China's State Administration for Market Regulation (SAMR) recently launched a "surprise investigation" at Ericsson's Beijing office, as Chinese mobile phone makers have complained that Ericsson violated the anti-monopoly law in the 3G and 4G standard essential patents (SEPs) licensing market in China. Xiang Ligang, director-general of the Information Consumption Alliance, told the Global Times on Sunday the investigation is a common practice in the global telecom industry as patents in the sector are mostly held by industry leaders such as Ericsson, Nokia and Qualcomm, thus giving them potential opportunities to "charge excessive royalty rates." Since 2011, Ericsson has earned approximately $1 billion in global patent revenue each year, according to the report. Ericsson has also been previously investigated by India's antitrust agency over allegations that it is demanding exorbitant royalty rates from an Indian mobile phone vendor for its standard-essential GSM patents. 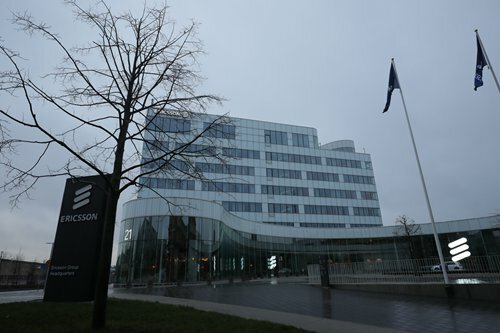 Xiang noted that the investigation will not have a major influence on Ericsson's business in China, since "the penalties would probably be fines and operational adjustments if it's defined as having violated the related rules in China." In 2015, Qualcomm paid a fine of $975 million to end a 14-month government investigation for violating China's law against unfair competition and it was also required to lower its royalty rates on patents used in China, according to a Reuters report. Qualcomm was also told to pay a fine by South Korea's antitrust regulator in March for unfair business practices in patent licensing and modern chip sales, Reuters said. "As China is further opening its doors to foreign companies and vowing to create a better environment for them, foreign companies should also follow China's rules and principles accordingly," Xiang said, noting that during the opening-up period, Chinese companies' own rights will also be protected. As the world's largest phone producer, China is constantly strengthening IPR protection to encourage innovation, but it also needs to oppose any abuse of IPR to exclude and restrict competition, industry insiders said.